A church, a bike, some cars, etc. 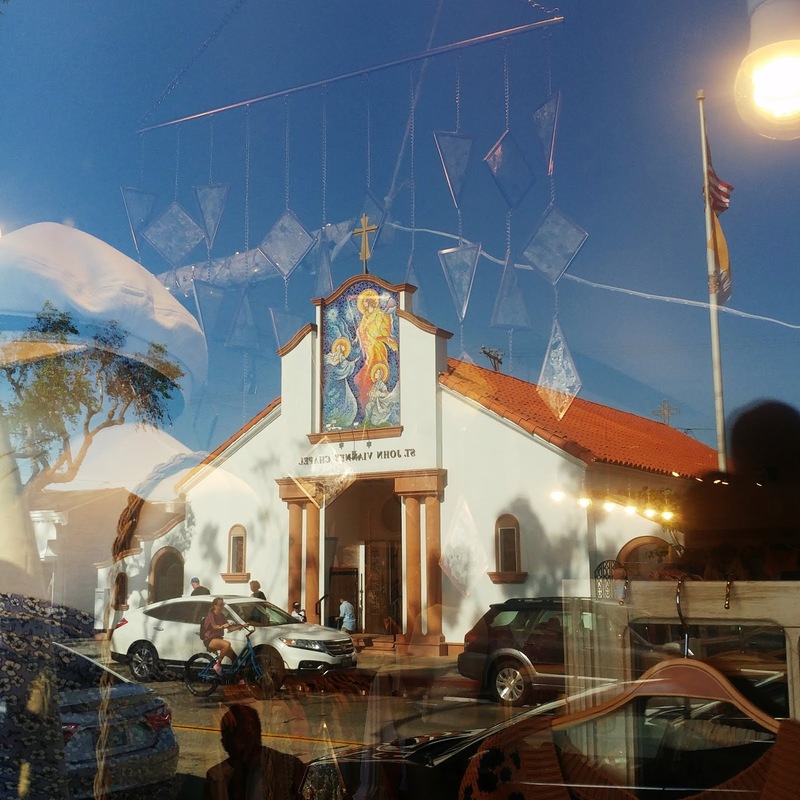 reflected in a shop window on Balboa Island. 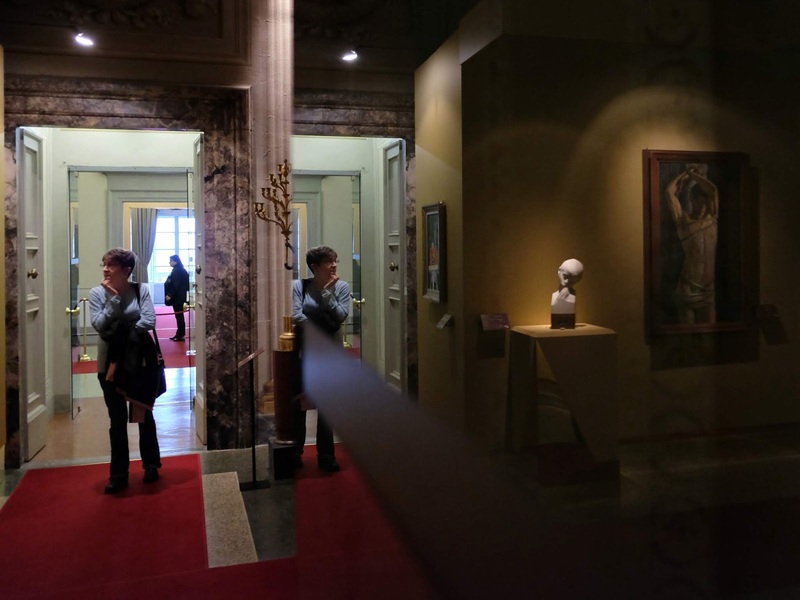 Reflections in The Palazzo Pitti Museum. 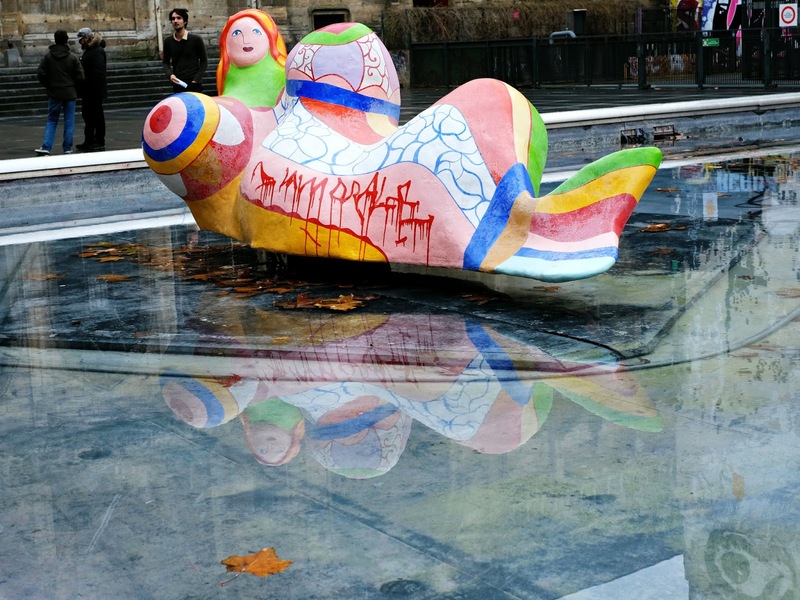 Reflections in The Stravinsky Fountain near The Centre Pompidou. In honor of the recent American Independence Day/4th of July, I present the stars and stripes. 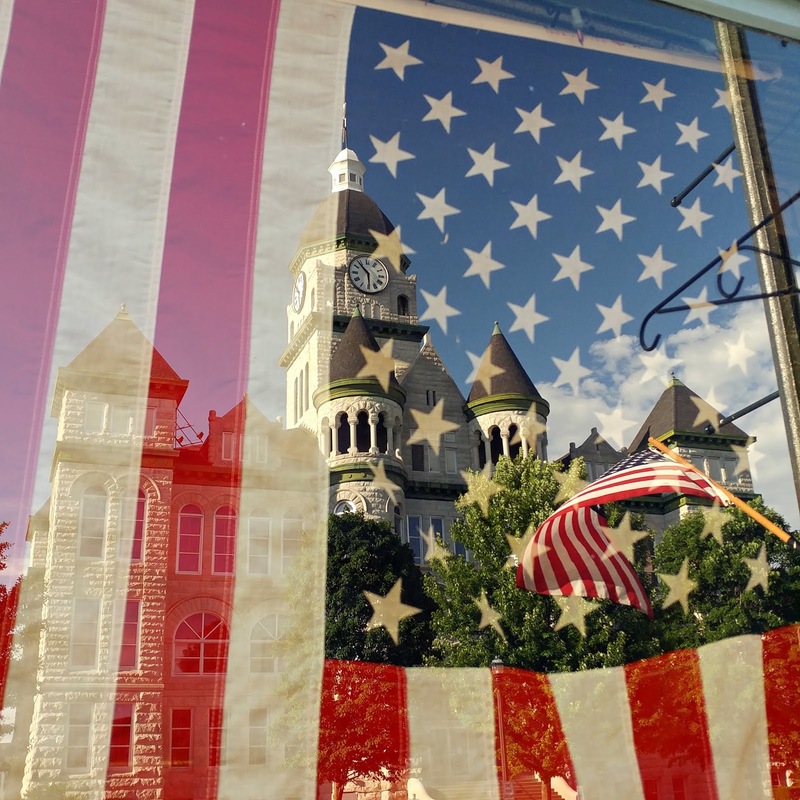 Here we have the Jasper County Court House and a small flag reflected in a window with a large flag.